Pulse Master is the first step into the world of wireless loudspeakers. You can link up to seven Pulse Satellites to one Pulse Master. For multi-room audio that will delight you. Hidden inside every intelligent Pulse LED lamp is a high-quality JBL stereo speaker, which receives the audio signal wirelessly by Bluetooth to play music, radio programmes or audiobooks. Simply screw the lamp into an existing E27 light socket and download our free Pulse app onto your smartphone or tablet. You can start playing music immediately and set the brightness just as you like it. 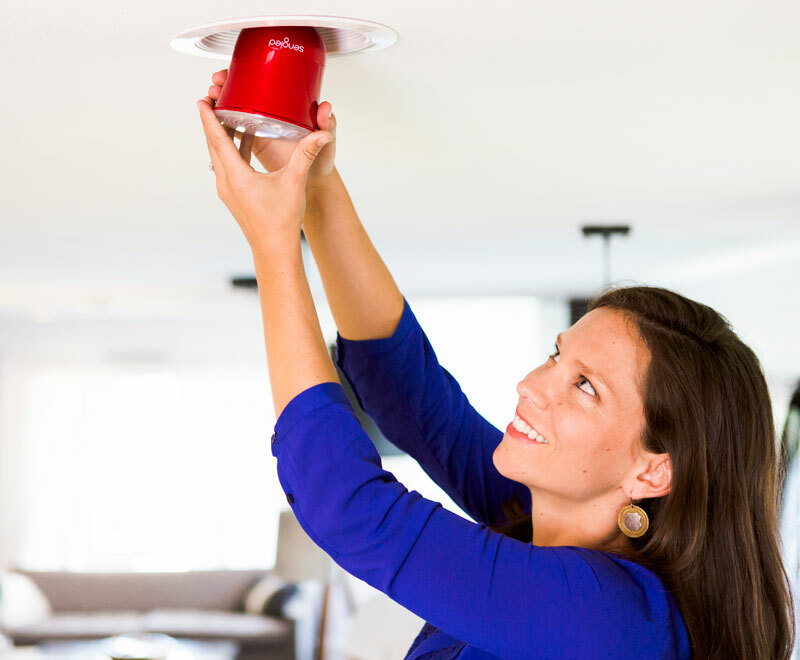 Up to eight of these lamps can be wirelessly combined to create a multi-roomed audio system. That has to sound like music to your ears! Unpack, screw in. And that’s it done. 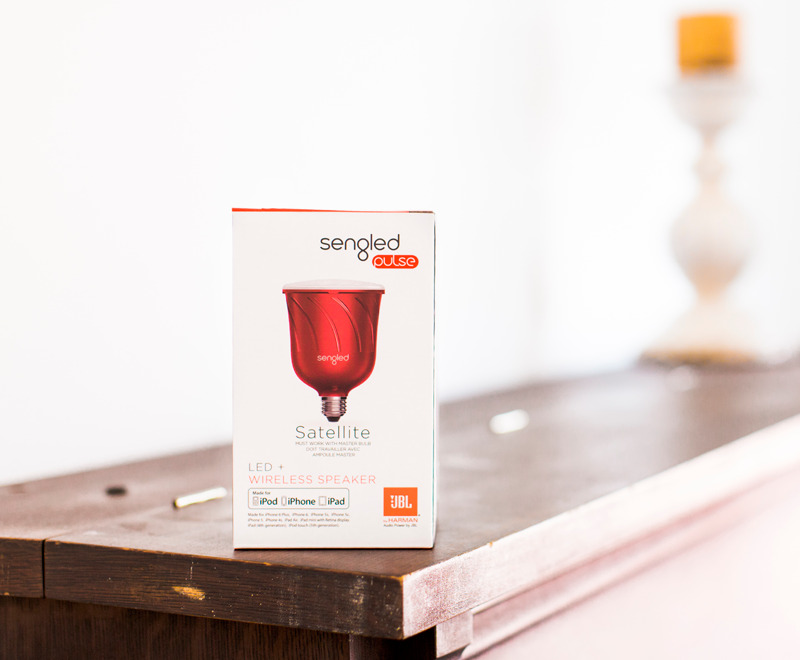 Your Sengled Pulse lamp is immediately there for you. It emits a short acoustic signal as soon as it is switched on. You can stream music straight away by Bluetooth – from any Bluetooth-compatible device and without additional software. The packaging contains your new Pulse Master lamp. Take it out of the packaging. Safety first. Set the light switches that supply power to the light sockets to “OFF”. Now screw your Pulse Master into the chosen light socket. Connect by Bluetooth and enjoy the sound. 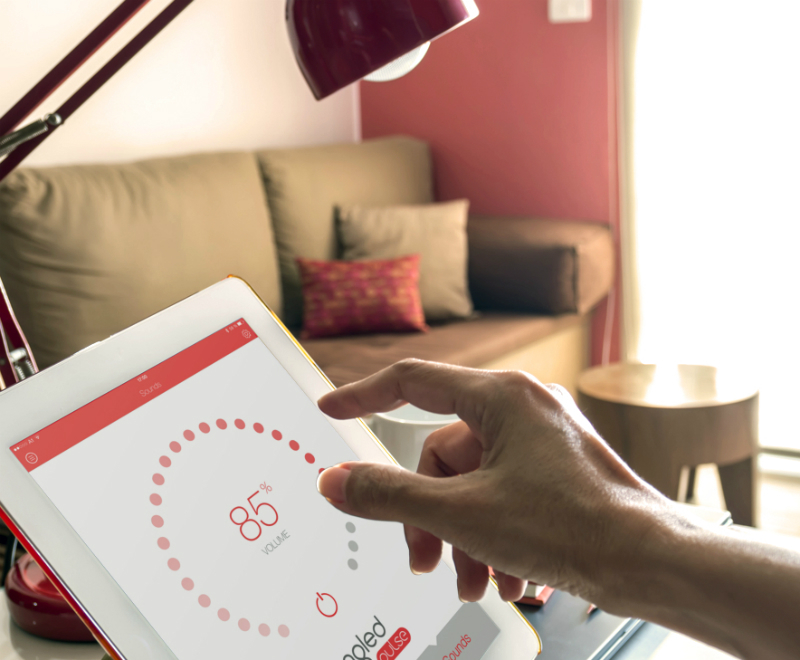 The free Pulse app gives you complete control over your Sengled Pulse lamps. You can use it to set light and sound parameters independently for individual or whole groups of lamps: Dim the light, switch it on or off, set the volume and adjust the equaliser settings to suit your favourite music. Onion: the matching light socket for your Pulse. Pulse Satellite lamps are the optimum accompaniment for your Pulse Master lamp and the Pulse Set. You can connect up to seven Pulse Satellite lamps to one Master and enjoy your sound everywhere! Onion provides a perfectly shaped home to your Pulse. LED light + wireless speaker – Hidden inside every intelligent Pulse LED lamp is a high-quality JBL stereo speaker, which receives the audio signal wirelessly by Bluetooth to play music, radio programmes or audiobooks. From tweeters to lumens, everything you need to know about your Pulse bulbs is right here. 1. Can the lights be controlled by a dimmer switch? If so, will the light and volume decrease/increase when the switch is adjusted? LED dimmer compatibility is both an art and a science (regardless of having a speaker or not). Dimmers are designed either as magnetic or electric with forward/reverse phase triggers. So 100% compatibility is never guaranteed. Our recommendation is to use it on non-dimmable systems. However, when the dimmer is 100% fully powered, the Pulse will work perfectly well. Depending on the dimmer, there may be a small buzzing sound coming out of it. This is normal, meaning that in an LED bulb without sound, dimmers will cause the power supply to buzz slightly. It is well within FCC limits of noise emission, but it may be noticeable. With the Pulse installed in a recessed light, where the distance from people is around 2 to 3 feet, the noise level should be imperceptible. 2. Can I use them with a surround sound TV system? In the past using wireless speakers resulted in unacceptable amount of time delay. No, these speakers work with computer, laptop or iPad they are Bluetooth. 3. Are you planning to introduce these in any other sizes? I'm finding them too large to fit in a lot of light fixtures. A21 will be available by late summer/early fall. 4. Can you connect a sub woofer to these? Great question. We will introduce a dongle in late summer that will be 3.5mm on one end so it can be plugged into any subwoofer that is in the market today. One the other end of the dongle is the wireless module that is identical to the module in our Satellite bulbs. In other words, this dongle will be treated as yet another Satellite bulb and it will be part of the Pulse audio system. 5. How many lights can be controlled by 1 bluetooth item? Is it just the 2 or can more be added. 2 today. We will release an updated app on both iOS and Android that will allow each Master to control up to 7 Satellites, for a total of 8 speakers in total. The existing Pulse hardware (both Master and Satellite) will NOT need to be replaced or even modify to support multi-speaker support. We expect to release the updated app by August. The same usage rules apply. The Bluetooth enabled device should be within 30 feet of the Master and each Satellite should be within 100 feet of the Master. 6. The description says they can be used on a patio. Are these able to be left outside? Pulse is UL damp rated, which means it can be in touch with casual moisture, such as in the bathroom where there is significant amount of steam, but no in direct contact with water. An UL wet rated product would have the ability to be splashed (e.g. rained on) but it would not be allowed to be soaked in water. 7. Will the speakers still work after the LED's go out? If the light is TURNED OFF, then the speaker will continue to work. If the light is burned out, it could be caused by the LED failing or the power supply failing. If it is the LED that fail, then the speaker is not affected. However, if it is the power supply that has failed, then the speaker would also not work. Please note that the Pulse has been designed for 25000hr of usage. With an average use of 3hr a day, the Pulse will last for 22 years+. 8. Is there an option to replace the LED when it's done? Do I have to replace the whole thing? The Pulse is designed for 25,000hrs. If they are broken, the entire unit should be replaced. 9. Would multiple pairs be able to play from the same source? Since the Pulse is based on Bluetooth (which is an one-to-one pairing technology) to connect from the smartphone/tablet to the Master bulb, only one source can connect to one Master at a time. 10. Are they suitable for wet locations (Outdoor, Showers/Bathrooms etc.)? It is suitable for damp locations, not wet/outdoor locations. 11. Do the lights ever burn out and if so then what? The LED light will last 25000 hours. For typical use (3 hours/per day during evening), it will last 22+ years. 12. I know it is LED, but what color is the light? Is it bright white like some LEDs or is it the warm white like an incandescent bulb? It is warm white like an incandescent bulb, Color Temperature: 2700K. 13. How do you keep it from overheating and distorting the sound, or blowing the speaker? I am trying to comprehend how sound can come out of a lightbulb. At Sengled, we love the idea of technology mash-up. Apple mashed up phone with camera, GPS, mp3, etc to make it an invaluable product for everyone. We designed the Pulse and its JBL audio module to last for 25000hr of life. Up to this point, the heat generated from LED bulb is the limiting factor for the lifetime of the product. We are able to optimized heat dissipation and utilized higher tolerance components to resolve these engineering challenges. The Pulse is designed to never blow the speakers since the amount of power (current) supplied to the speaker is limited to the specifications of the JBL audio module. 14. Can this be used on a dimmer switch? Will dimming the dimmer switch affect the sound? 15. Can this be used on a dimmer switch? Will dimming the dimmer switch affect the sound? 16. Has the 220V version been released yet? 220V will be released by July of this year. 17. What is the watt equivalent for the LED light? 8W of LED light is equivalent to 65W of halogen, which is the typical recessed light output for a BR30-type bulb. 18. I need to know if I can buy extra satellite speakers now. I need at least 2 more satellites to hook up to the one master I have. Is this available? The physical satellite units will be ready to ship to consumers in October. 19. For recessed light fixtures, do the bulbs stick out below the level of the ceiling? First make sure you are using 120v if you can find a light fitting that can fit these huge shaped lights then it can be used for recessed. Mine exploded as I was using 240v. 20. I have a wireless squeezebox system for the music in my house where I can play Pandora etc. Does the pulse download get these speakers to coordinate? My understanding of the Squeezebox is a MP3 and speaker in one. I am not familiar on how it can be connected to remote speakers today (without the Pulse in the picture). Can you share that with us? Comparing to the Squeezebox, the Pulse is the speaker portion of the combo. The Pulse relies on some type of hardware to stream music, like any Bluetooth-enabled smartphone, tablet, PC, etc. While the Pandora app is streaming on the phone, the phone's Bluetooth is connected to the Pulse Master. The Pulse Master then automatically connects to the Pulse Satellite If the Squeezebox has Bluetooth and it allows for connection to Bluetooth speakers, then I think there is a chance for it to pair with the Pulse. But without testing Squeezebox with the Pulse, we cannot be sure. 21. Can I dance to the flashing lights if the music is playing? I am an intermediate dancer. Today, the Pulse is not designed with light and music synchronization (e.g. strobing). It is a feature we are considering for a future release of the product. 22. Can you wirelessly hook them into your squeezebox or sonos so that they will play that also? Today, different companies uses different protocols or the same protocols (at different frequency bands) for intra-wireless speaker communication. At this time, we have not had an inter-operability mash up with our peers, like Sonos. So from a software handshake prospective, we do not yet support multi-vendor play. 23. How to download App for amazon kindle fire tablet?